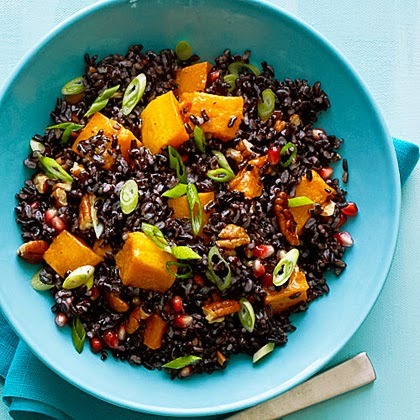 Black rice is my new favorite grain and it's amazing to cook and eat. I first tasted it at one of our favorite restaurants, Mistral, and have been itching to make it ever since. I was so happy this week when I found it at Trader Joe's. Black rice turns into a glorious deep purple when cooked ... it's a real plate stunner! 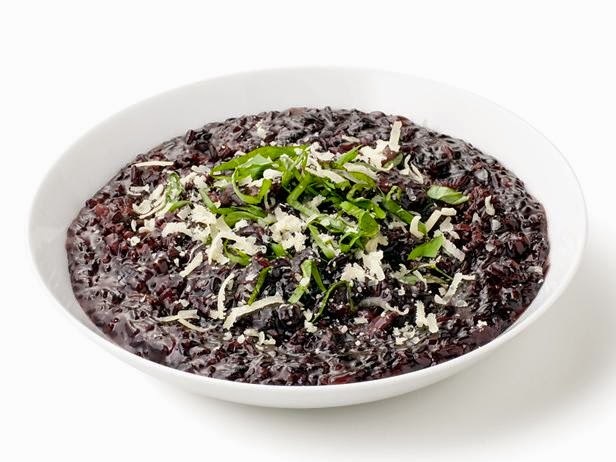 Dubbed a "superfood" by many, black rice is also known as forbidden rice or purple rice and has the most amazing texture and chewiness. It's actually a combination of different glutinous rices (not gluten!) and is even better for you than brown rice. Black rice contains more healthy antioxidants than blueberries!